Most of us know that it could cost us everything we own if we go to a hospital that isn’t covered by our insurance plan. But what if you’re unconscious and have no say in the matter? That’s the case for a Wisconsin woman who owes $50,000 to a hospital that claims she should just pay up and be happy she’s still alive. The woman tells WISC-TV [via Reddit] that in Sept. 2013 she went into cardiac arrest and was taken by ambulance to a hospital that was out of her insurance network instead of the one — only a few blocks farther away — that accepts her Anthem Blue Cross coverage. Had the patient been taken to one hospital, she would only owe $1,500 to her insurance company. But because she was comatose, the ambulance took her to an out-of-network hospital only a few blocks away, to which she now owes more than $50,000. Had she gone to the in-network hospital, she’d only have been hit with about $1,500 in expenses. But since she was taken to the other hospital, she now has to pay the huge difference between what her insurance company paid the hospital and what the hospital charges. 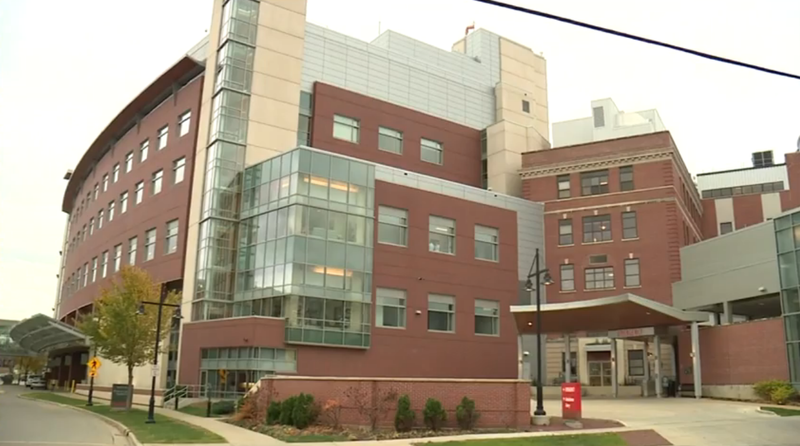 The hospital that treated her billed the patient for $254,000. 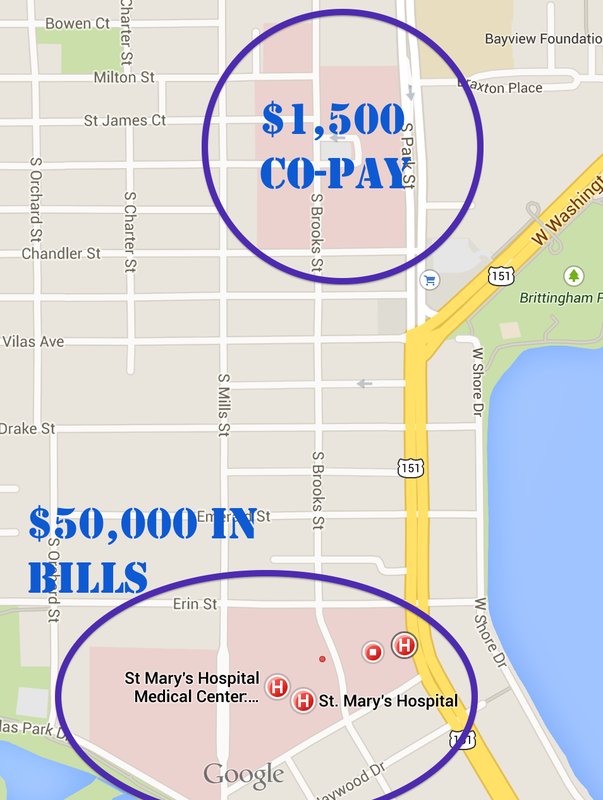 Her insurance company paid $156,000, which is 100% of what it would have paid to an in-network hospital. That left a balance of $98,000, which the hospital slashed after negotiations with the patient, but still leaves her with bills from individual physicians, the ambulance service and other charges. Anthem is pointing the finger at the hospital, saying that the insurance company can’t control the prices at a hospital it doesn’t have a contract with. The hospital is basically telling the patient to just be glad she’s still breathing. The patient and her boyfriend have postponed their engagement while she awaits her latest appeal to Anthem, part of WellPoint, the nation’s largest health insurance provider. They may need to take on second jobs, cash out their retirement accounts or take out loans, possibly file for bankruptcy if she can’t get the debt decreased.